In the early days of performance marketing, it was quite a task to start an affiliate network. 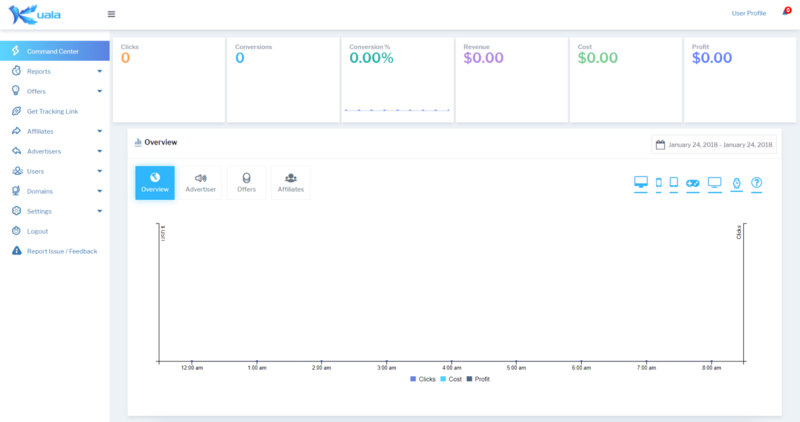 Now, with Kuala’s intuitive link tracking platform, you can setup your own performance marketing network in minutes. From redirecting traffic, managing offers, tracking conversions or working with advertisers and affiliates, Kuala provides you with everything you need to run a successful affiliate network. Affiliate Networks provide a hub for connecting Affiliates with Offers from Advertisers as well as optimization and reporting tools for attributing clicks, tracking conversions and optimizing campaigns. Advertisers use Networks to find marketers willing to promote their business in exchange for a commission. Affiliate Marketers use Networks to find offers, view reports and get paid for generating qualified traffic. Affiliate Marketing is a type of performance marketing where businesses allow marketers to promote their products and generate sales in exchange for a commission. Advertiser only pay Affiliates for specific actions, like a click, conversion or sale. Offers – The details and rules for promoting a campaign and getting paid. Advertisers – The party who is looking to receive traffic. Affiliates – The party who is looking to send traffic. Tracking Platform – Software used for tracking clicks, attributing conversions and reporting. Lucky for you, Kuala comes packed with everything you need to start a successful affiliate network and run better performance marketing campaigns. 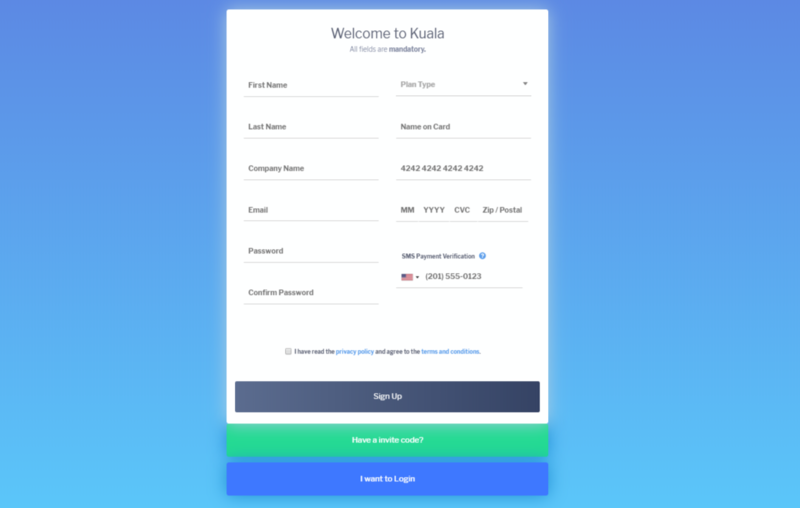 Your first step is to sign up for an account with Kuala! Login to your new account and you will be taken to the Comm and Center. 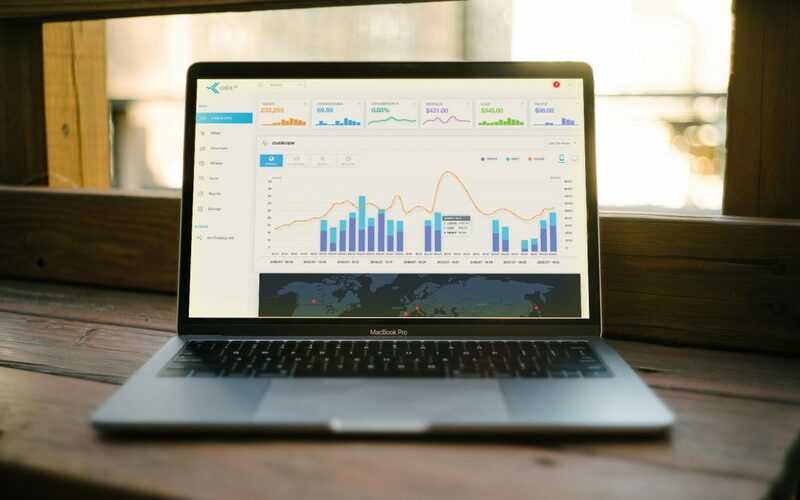 This dashboard provides you with a high-level overview of your account performance for instant insights about your traffic. With your Kuala account created, you need to setup user accounts for your Advertisers and Affiliates. Every user gets their own login portal and dedicated dashboard for managing their account and viewing reports. To create an Advertiser, navigate to the side menu panel, click on “Advertisers” and select” Create Advertiser”. Configure their settings and click on “Create”. To create an Affiliate, navigate to the side menu panel, click on “Affiliates” and select “Create Affiliate”. Configure their settings and click on “Create”. Now onto the fun part; creating your first Offer. Offers hold all your campaign elements and rules for targeting, redirecting and revenue / payout tracking. To create an Offer, navigate to the side menu panel, click on “Offers” and select “Create Offer”. This will take you to the Offer Creation page. Offer Name – The name used to identify the Offer in your Kuala account. Offer Advertiser – The advertiser who is providing the Offer. Offer URL – The l anding page URL where traffic will be sent. Enter your Offer Details and click on “Next”. This will create and save the Offer to your account. This section is where you enter your settings for tracking revenue and payouts. You can choose to have your Offer appear to all Affiliate in your account or you can only allow specific affiliates to view, access and promote the offer. 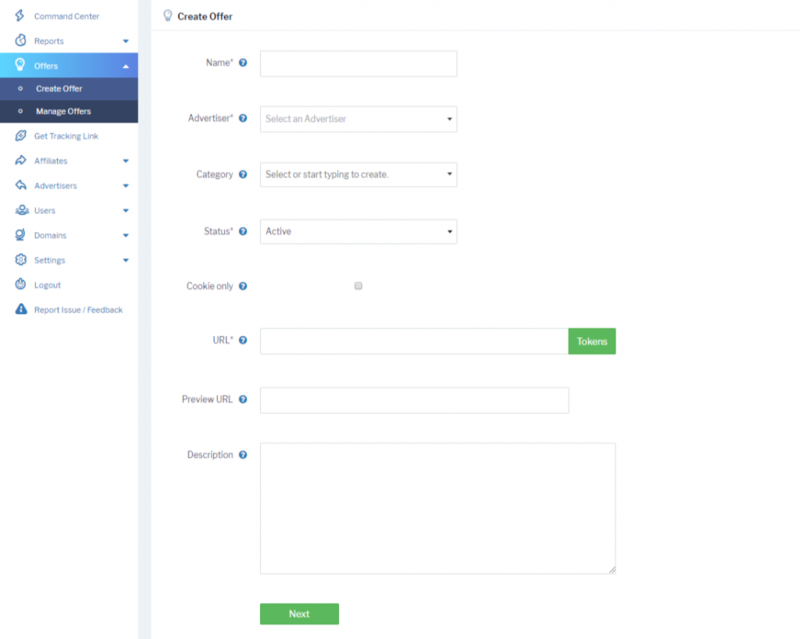 From here you can configure additional settings to your account for tracking multiple conversions, managing budgets, targeting users, creating overrides and more. Redirection Rules give you even more control over your traffic and for making every click count. Tracking Links are used by Affiliates to promote Offers and redirect traffic to Advertiser’s l anding page. To create a Tracking Link, navigate to the side menu panel and click on “Get Tracking Link”. Select the Offer you want to create a link for, assign it to an Affiliate for attributing clicks and choose a Tracking Domain. You can also add custom Sub IDs for passing additional parameters in your tracking link. Click on “Generate” and your tracking link will be created. Kuala also provides an option for generated SEO-friendly encrypted links. Click on ” Encrypt Tracking Link” to generate a clean URL for your campaigns. Detailed and accurate reporting is a necessity for anyone wanting to run profitable marketing campaigns. Kuala’s reporting system is updated in real-time so you will always be working with up-to-the-second data. Export your data to CSV, PDF, Excel, quickly save it to your clipboard or use the Kuala API to ingest data and access your account.